The Phoenix II dramatically rises above a solid metal base. 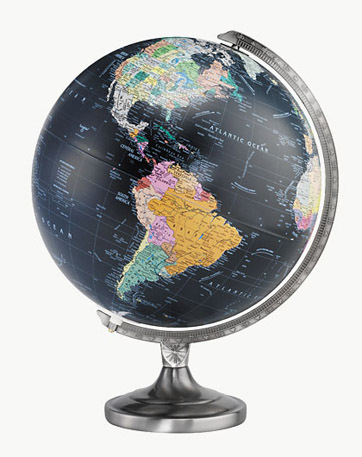 This beautiful globe offers stunning modern looks with traditional elegance. 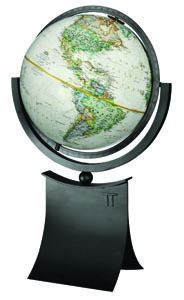 The flared black metal base has a sweeping design that follows the curve of the globe. 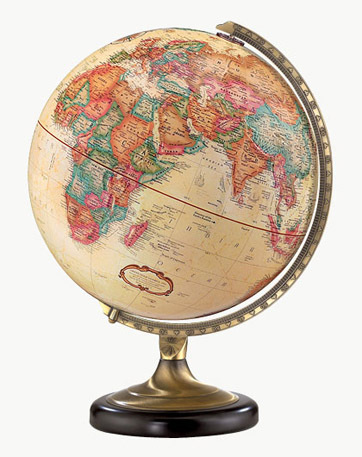 This design is at home in all settings and features the latest cartography from National Geographic.